The Bridgewater Public Library will feature “Man’s Best Friend” a collection of pet portraits by Susan White in the Flora T. Little Art Gallery during the months of October and November. 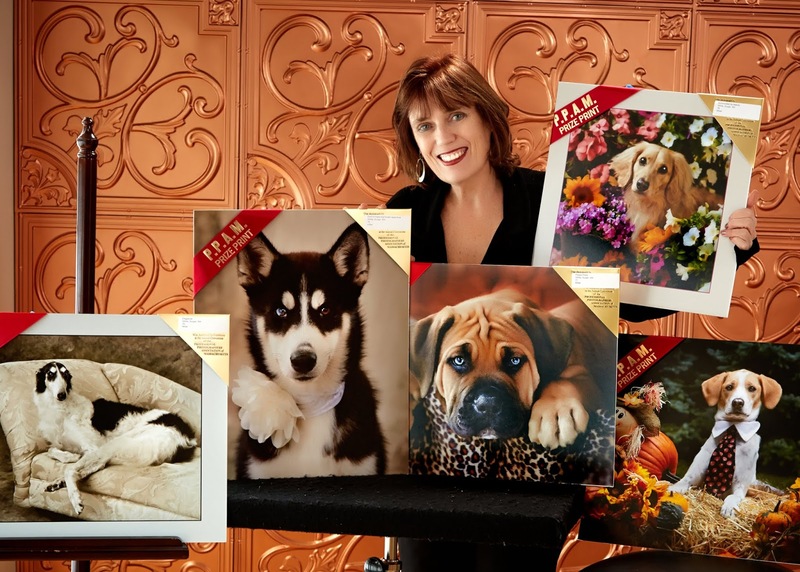 National award-winning photographer Susan White will be having an exhibit of her whimsical pet portraits titled "Man's Best Friend". Ms. White has earned both the Master of Photography and Certified Professional Photography degrees from the Professional Photographers of America. Over the years she has had many one woman exhibits and won numerous First Place or top awards from the South Shore Art Assoc, North River Arts Assoc., Plymouth Art Guild, Pembroke, Cape Cod and Duxbury Art Associations. 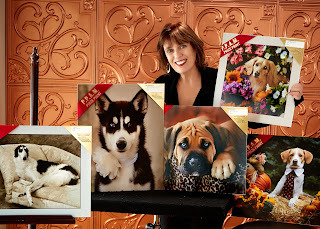 Ms. White is a true lover and advocate of animals and has won many top national awards for her portraits of dogs taken at her studio in the middle of a nature preserve in Pembroke. She has raised thousands of dollars for local shelters with her pet photo benefits along with donations she makes to raffles and auctions. Her images are featured on the covers of the Pet Gazette every month, a local publication dedicated to pets. More of her work can be viewed at www.furryfaceportraits.com. The Flora T. Little Gallery is open during regular library hours: Monday, Tuesday and Wednesday 9a.m.-8p.m. ; Thursday 10a.m.-5p.m., Friday, Saturday 10a.m.-2p.m.